Congratulations to everyone who took part in the the three events over two days that made up this second round of the North Wales Road Race Series, and many thanks to all the volunteers that gave up their time to ensure that it all went smoothly. The results are available below, on the NWRR page, or downloading the results spreadsheet (NWRR – Rd 2 – RESULTS). An event report will follow later in the week. As the evenings grow darker, lights get dug out of the back of the shed, and the layers stack up – it’s time to reflect over the year – and what a year it has been for VC Melyd – and so many achievements for its members too. Welsh Cycling – Chris Allen shortlisted for Volunteer of the Year. 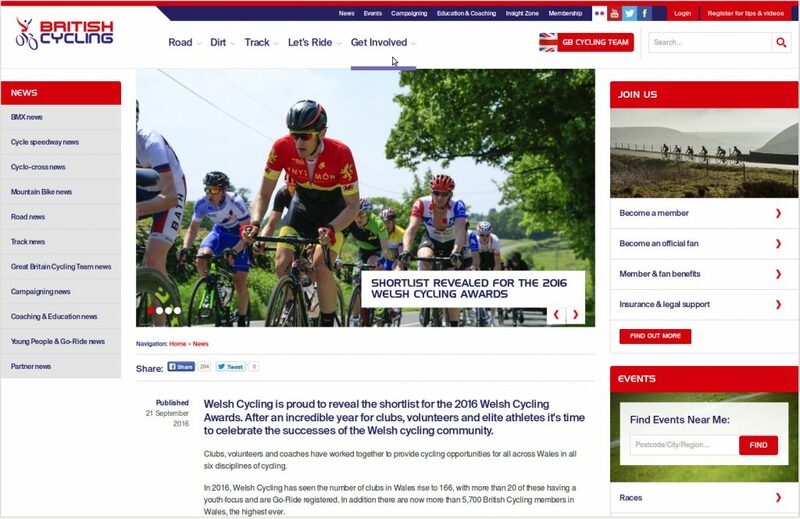 Following up on last years successes of Welsh Cycling Coach of the Year, and British Cycling Fastest Growing Club – we must be getting something right. The Welsh Cycling awards are to be held on Saturday the 7th November this year – the very best of luck to those heading down there this year. The GoRide and the Ribbon award are for our pro-active work in the fields of youth and disability – offering quality opportunities to get involved, progress, and excel. It’s tough being a quickly growing club, of mixed abilities, requirements,and increasingly more disparate groups to cater for – but it would seem we are doing each other proud. Thank you to everyone directly involved, those who have taken part, and those who have organised or supported events throughout the year.